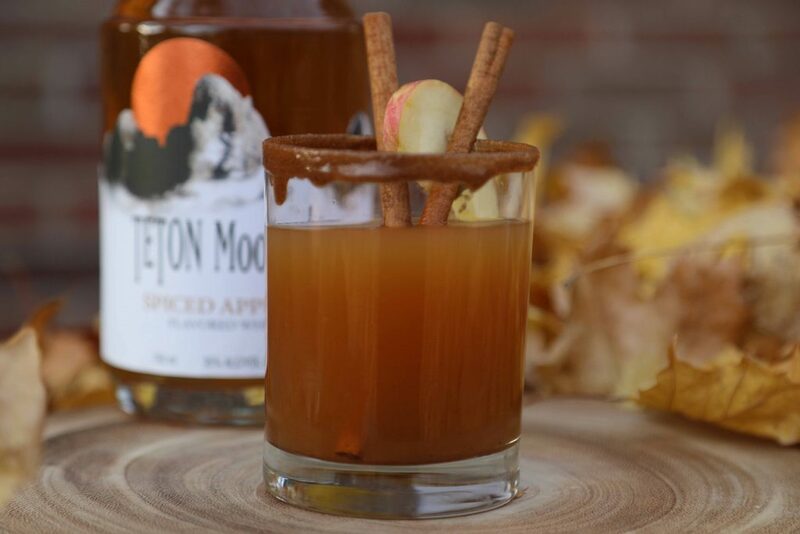 Let’s start off by saying welcome to Spiced Apple Pie Cocktail Season! I start getting excited each year when Labor Day rolls around. Why might you ask? Autumn is my favorite season of the year! It reminds me of so many great things that I love like cooler nights, leaves turning colors, going to the fair, pumpkins & apples ready for harvest! All these things make me happy! I now have a new reason to be happy, Spiced Apple Pie Cocktails! This drink has all the classic fall drinks flavors everyone loves including apple, caramel, and cinnamon. 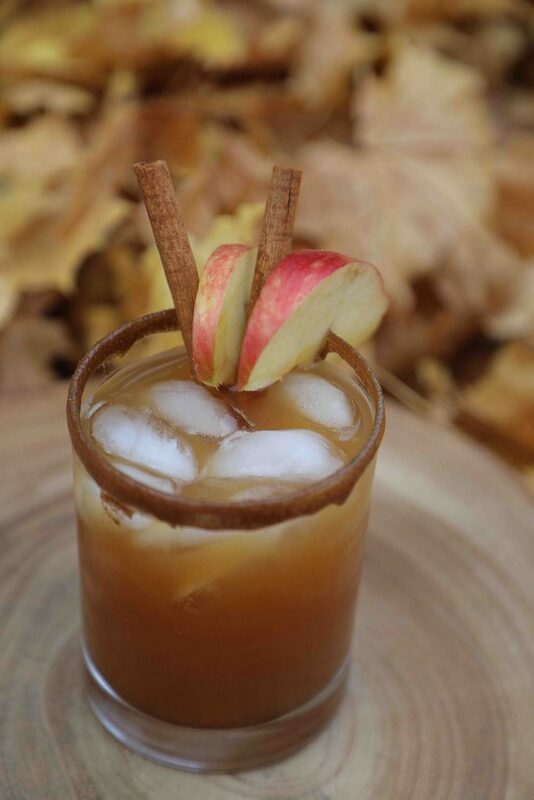 How does this Spiced Apple Pie Cocktail taste? It is so good that it could be dangerous! Yes, it’s one of those drinks that you can easily find yourself having consumed 2 or 3 of these delicious beverages before realizing that you are feeling pretty buzzed. My first smell of the Spiced Apple Pie Cocktail had my taste buds going into overdrive! Pretty sure my pupils grew with excitement as well. My wife saw my look and instantly wanted to smell too. She placed the glass towards her nose as she closed her eyes as she took a deep breath of the Spiced Apple Pie Cocktail. Her smile said it all and then she took a sip and then I saw her eyebrows raise! I quickly reached for the glass before there was no more left. I was sure glad that I did, otherwise, there wouldn’t have been any left! This recipe’s inspiration came to us on our recent National Park road trip which included a stop at Grand Teton National Park. We continue to search for new National Park inspired alcohol after having received multiple comments from happy readers from the Beers of the National Parks post. We then received numerous requests for a post on Wines of the National Parks. Again there were lots of happy readers! Can you imagine what we got asked for next? That’s right, Spirits of the National Parks! The great news is that I am working on this article now and this is the first preview from that post highlighting the Teton Moonshine Spiced Apple Pie Flavored Whiskey from Grand Teton Distillery. Make sure and pin this recipe to make it easier to find when you need a great Fall cocktail! Mix simple syrup, sugar, brown sugar and cinnamon to taste and rim glass. Add apple slice to the edge of the glass and a cinnamon stick. Fill remaining glass with apple cider and enjoy!